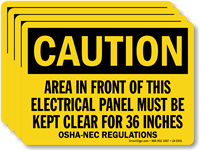 Conveniently communicate to all workers that the area in front of the electrical panel must be kept clear for 36 inches as per OSHA-NEC Regulations. 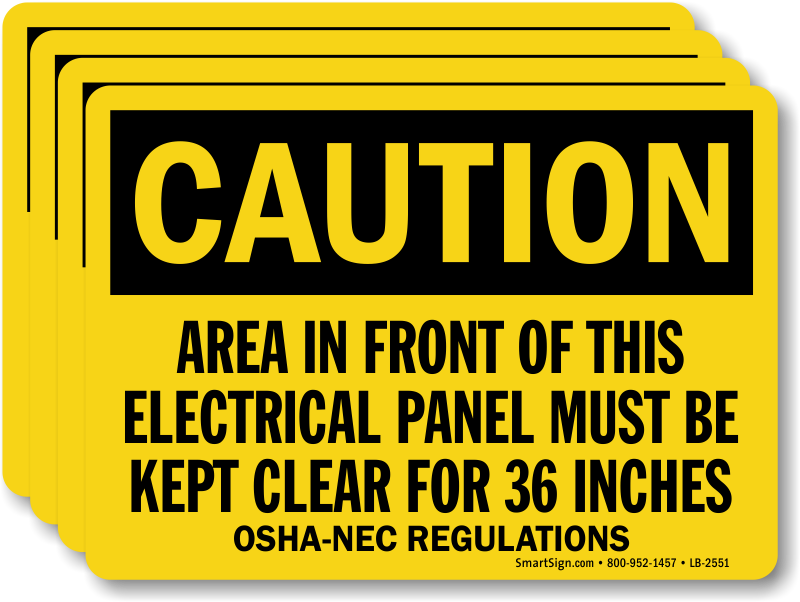 Post this professionally made OSHA Caution label in the vicinity of the hazard and increase the safety compliance in your premises. Product is ideal for harsh factory conditions and remains as good as new for years.